250mm high, fully welded sideboard construction. Polished stainless steel heavy duty adjustable over-centre latches. 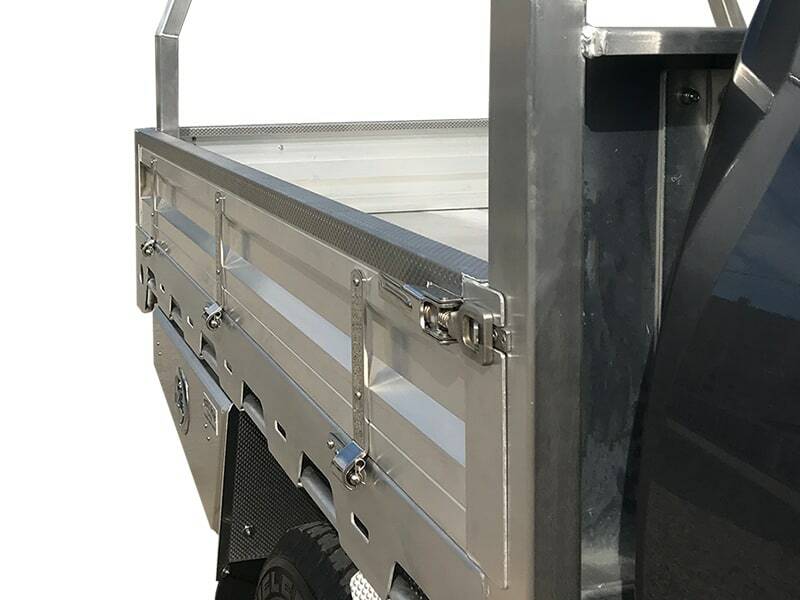 Tong’s signature dimple plate aluminium capping that protects and stiffens the Ute tray drop-sides, giving that extra strength, rigidity, and durability. A profile matched design that complements the tray headboard. 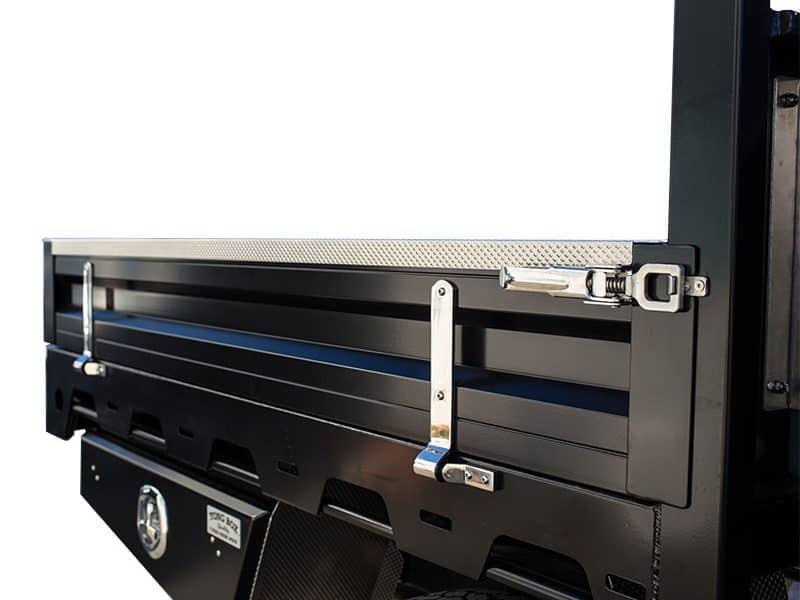 Two concealed fastening bolts, securely fixes the ladder rack inside the cradle. Two load-guides to assist with securing items to the rack. Quantity: 6 flush mount tie downs is standard. 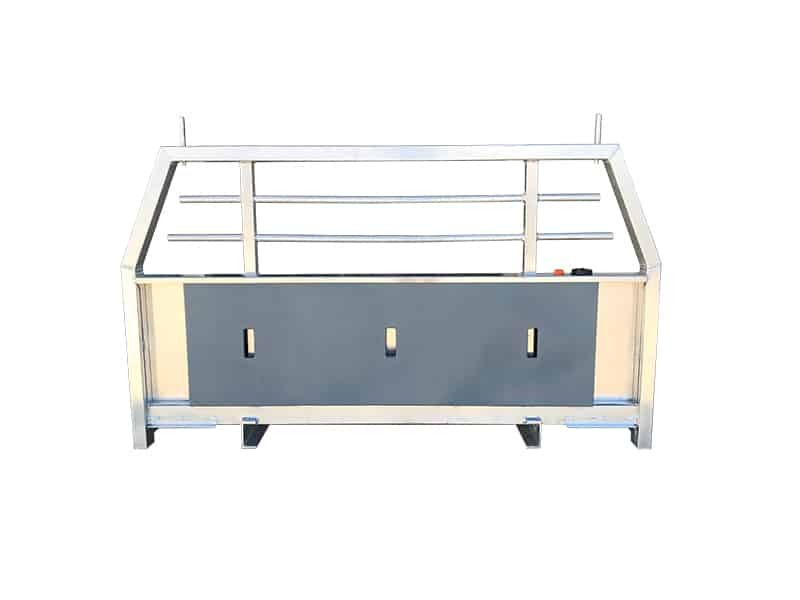 Recessed in and below tray to maintain a flat loading surface while safely securing your load. 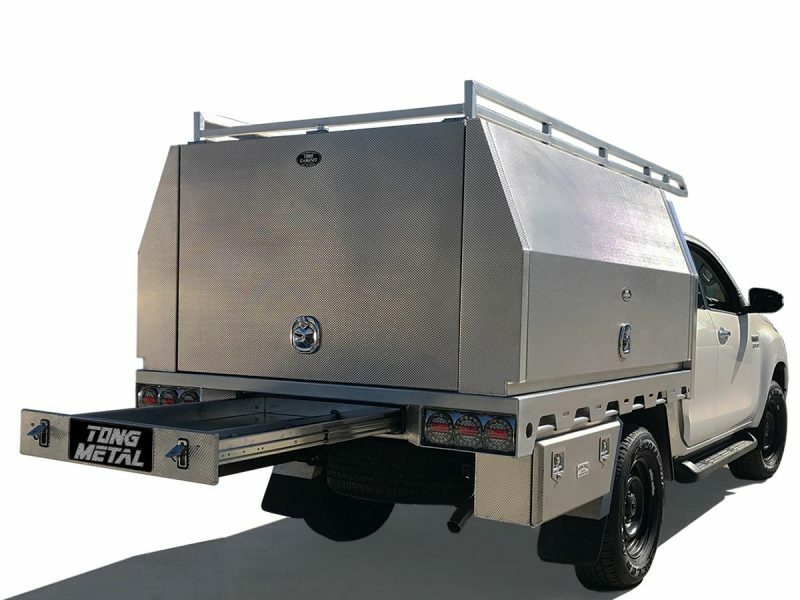 Polished stainless steel finish to combat and resist rust. Neatly concealed within the aluminium headboard frame. 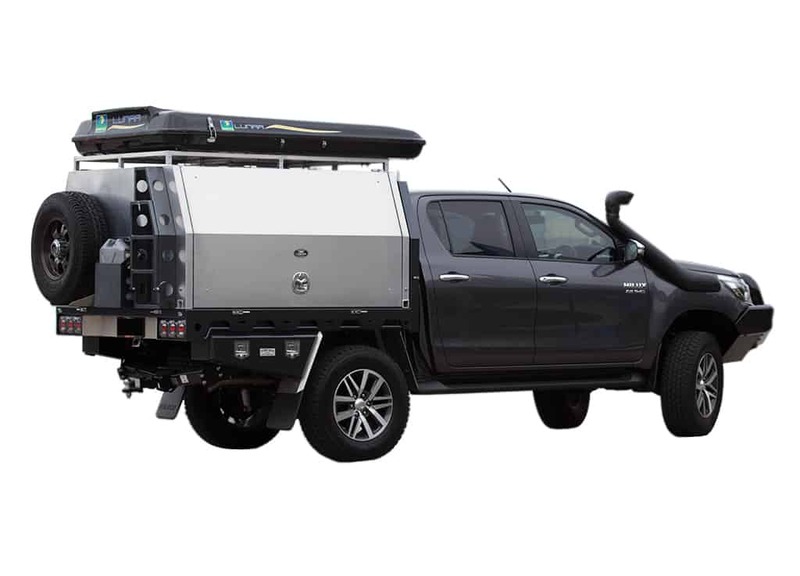 The tank is made from the 75mm x 50mm aluminium frame. Dual outlet locations (either driver or passenger side). 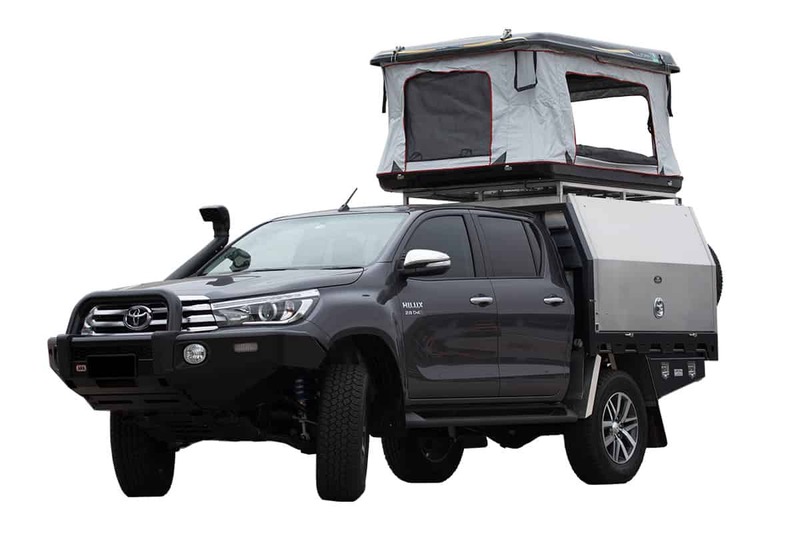 Neatly concealed within the aluminium headboard to protect the tank. The tank is made from roto-moulded polyethylene (food grade). Dual outlet locations (driver and passenger side). Includes tap and hose fittings. Constructed from 2.5mm mill finish aluminium and finished with a 2mm dimple plate fascia. The number plate is centrally mounted below the concealed number plate light. Pinch weld bulb seals are included in the design to make the drawer extremely weather and dust resistant. Dimensions: 125(H) x 785(W) x 1050(D) mm (internal dimensions). 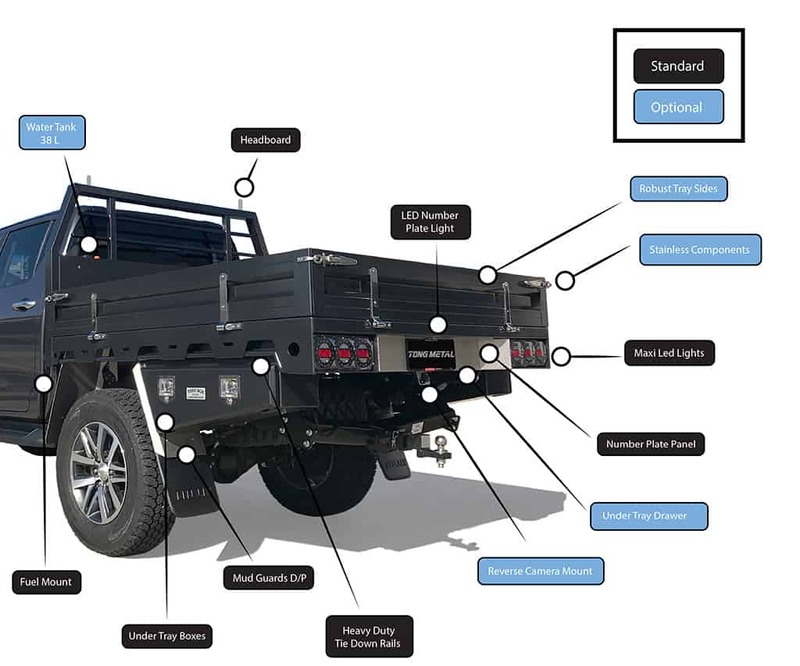 Powder Coating (external surfaces only): Dry Fit – Sand – Chromate – Powder Coat – Fitment. Please be aware: Powder coating is not an exact match to your vehicle colour. 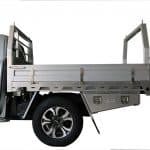 We take great pride in ensuring that your vehicle tray is fitted securely, is highly functional, and looks aesthetically pleasing. 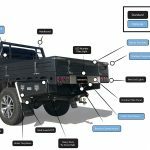 Due to variances in vehicle components and designs, some tray components cannot be manufactured prior to receipt of your vehicle. 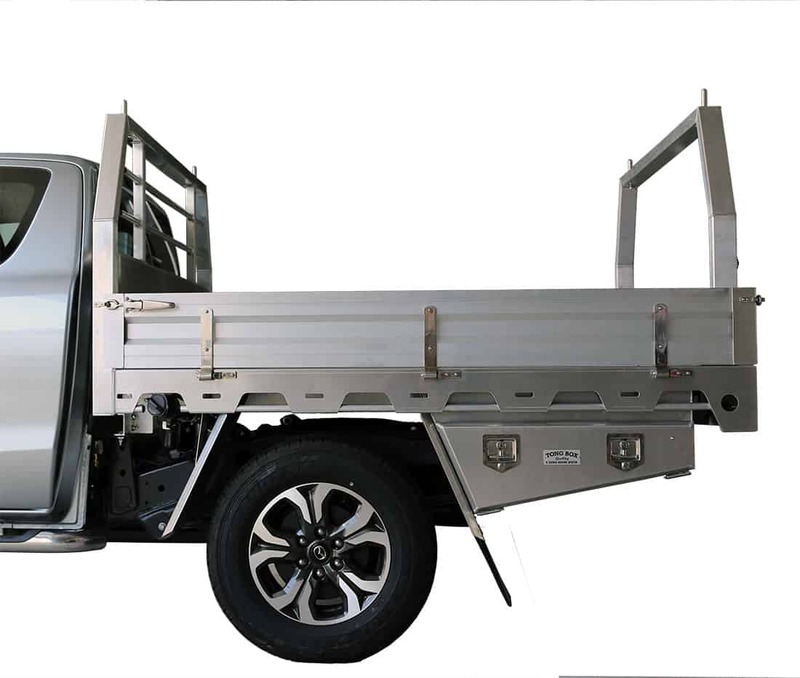 Depending on the process, it takes will take 2 to 3 days working days to fit your vehicle tray. The process may include removal of the tub, disconnecting or camera and sensors before fitting your Tong Tray including reinstalling camera and sensors. 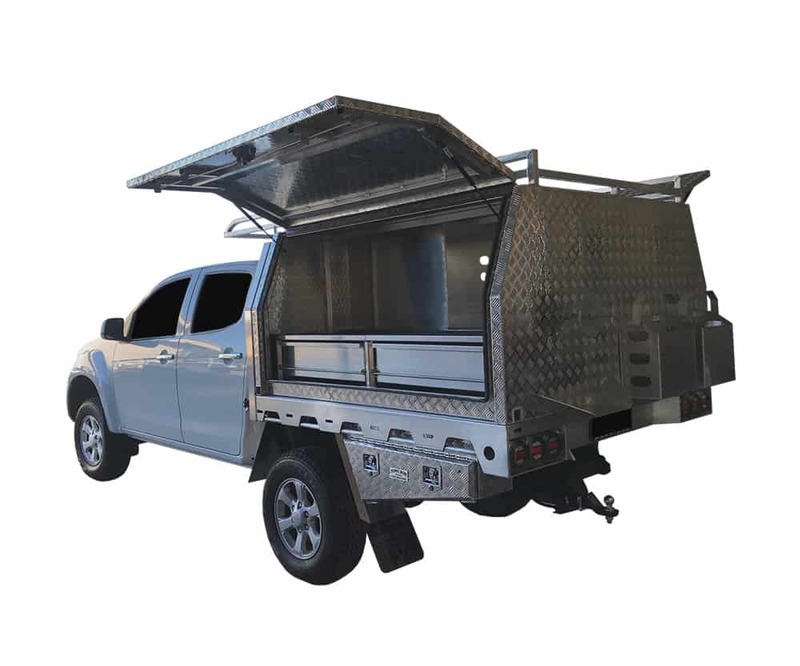 The premium blend of aluminium extrusion and sheet metal used in the construction of our designs, result in a robust heavy duty ute tray that can handle all conditions and will last the test of time. 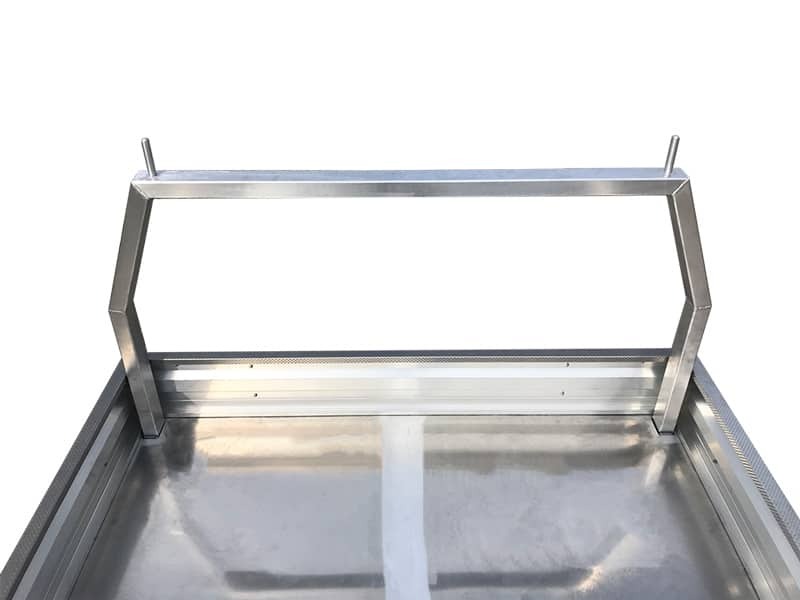 The welded aluminium construction reduces unnecessary and damaging weight often associated with steel trays, without sacrificing strength or durability. 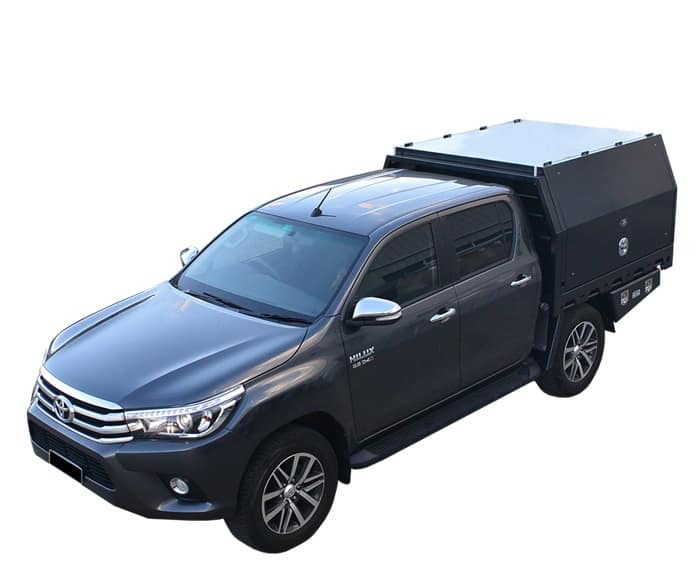 It’s a simple Payload and GVM equations: The less your tray weighs the more payload your vehicle has available to carry. 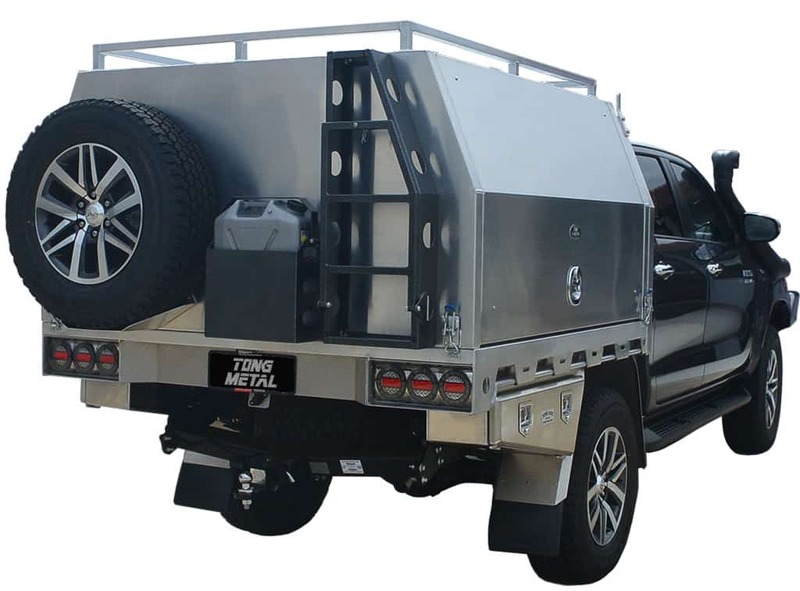 Unlike their steel counterparts, Tong aluminium ute trays are completely rust free and corrosion resistant, making them the perfect addition to any beach going vehicle! 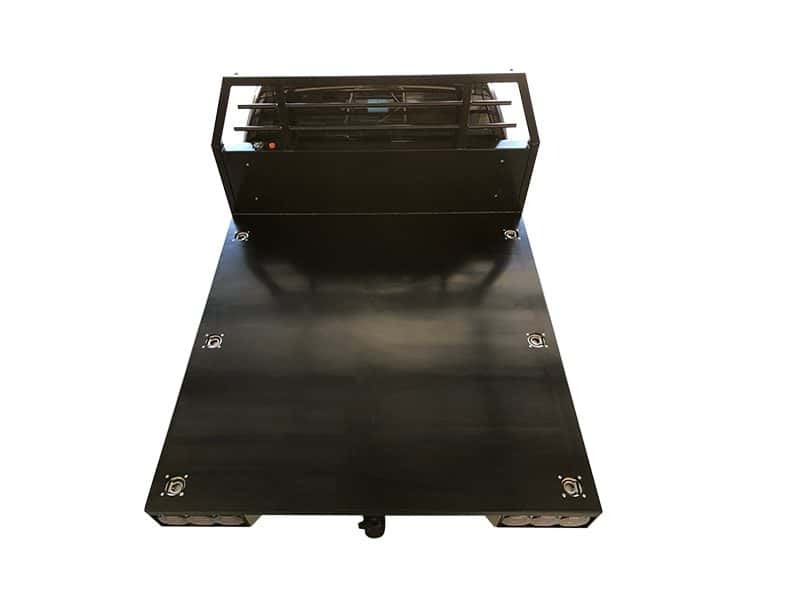 Tong trays are designed with a flat deck to allow for easy cleaning and minimal areas for salt and sand to hide. 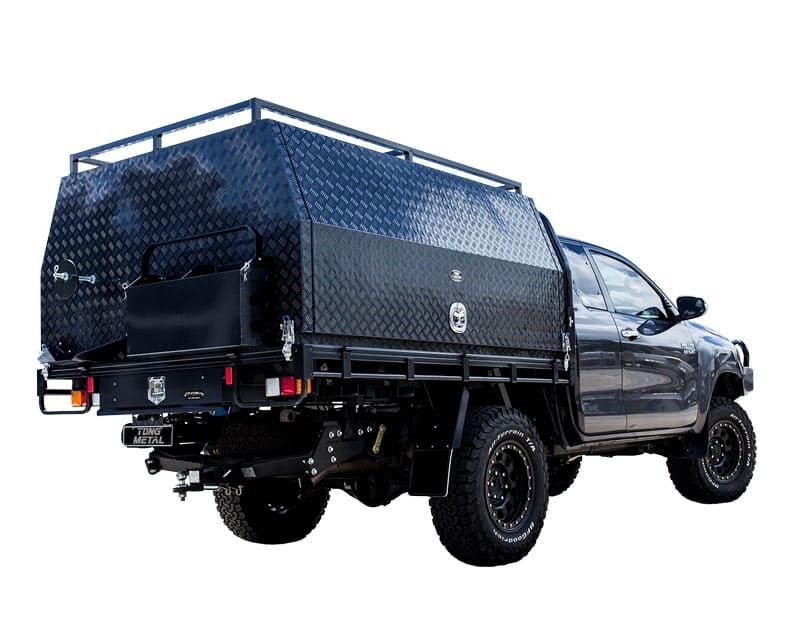 Our ute trays have been tested in all conditions, from the bush to the beach, Cape York to the Canning Stock route and everywhere in between! 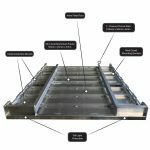 All aluminium used in the construction of Tong Trays is locally sourced from leading local suppliers. 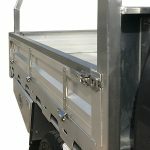 Unlike Steel Ute Trays, painting or powder coating is not essential for weather-proofing because the aluminium won’t rust long term. 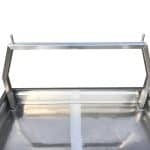 This not only saves you money but also means the tray will last longer, with less maintenance in harsh conditions. The trays look great uncoated and are easy to maintain however, powder coating can also be organised to give your tray a certain aesthetic appearance.